Tying the knot is only one aspect of getting married. 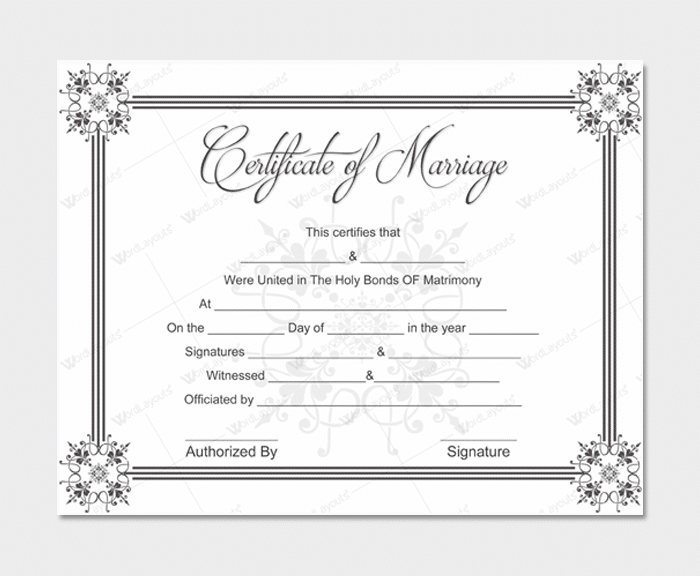 The law does not recognize your vows until you have the documents that say so. 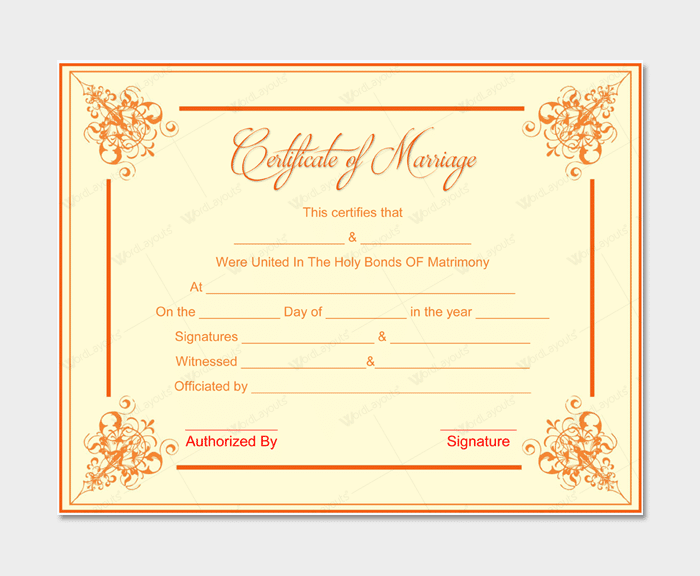 It seems ridiculous, but it is true. 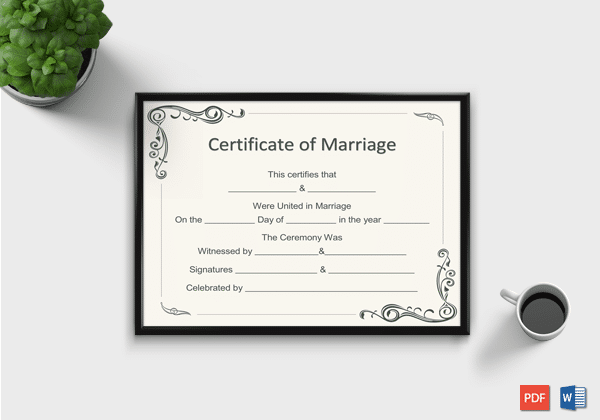 A marriage certificate template is designed to ensure you not only comply with the law, its intricately designed patterns allow you to do so in style. 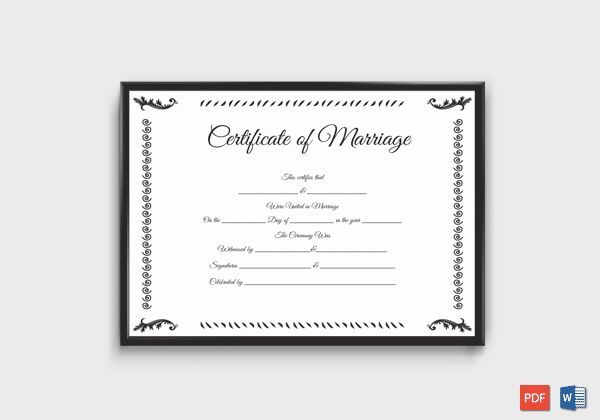 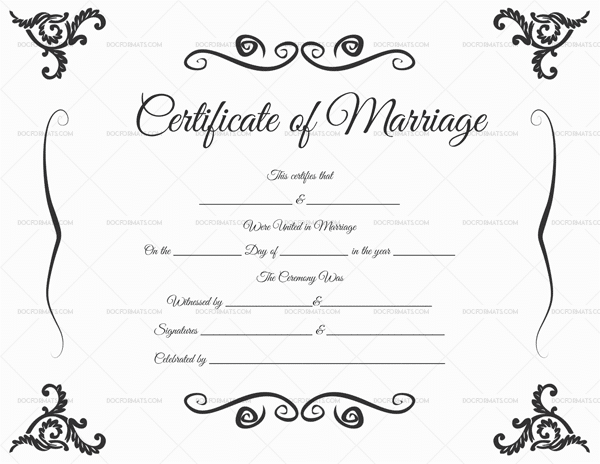 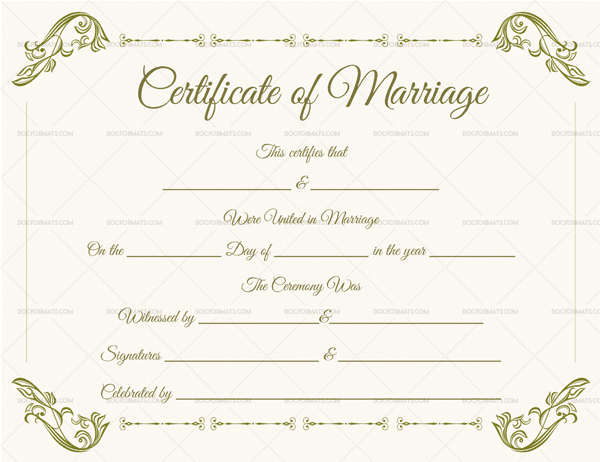 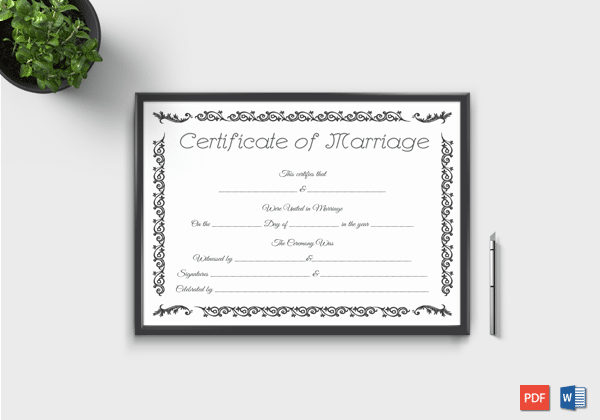 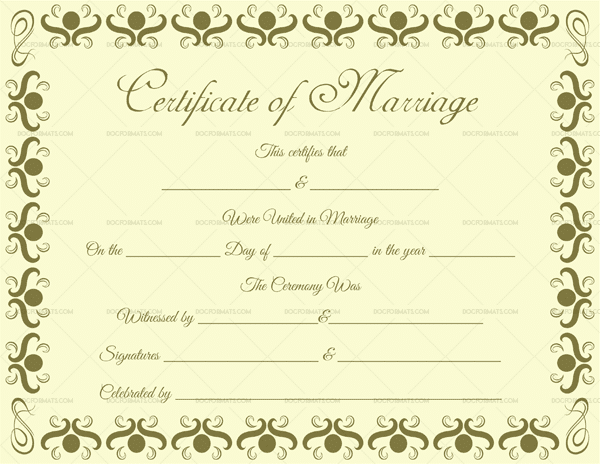 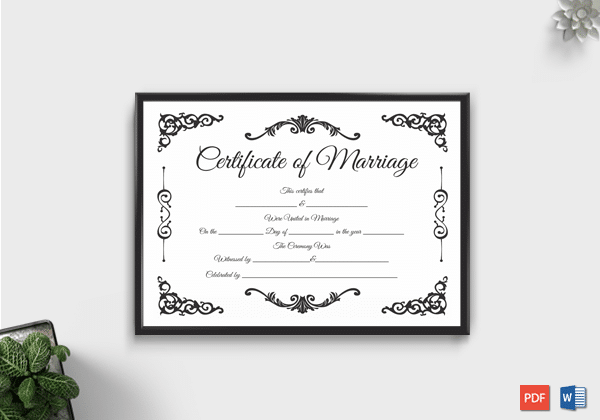 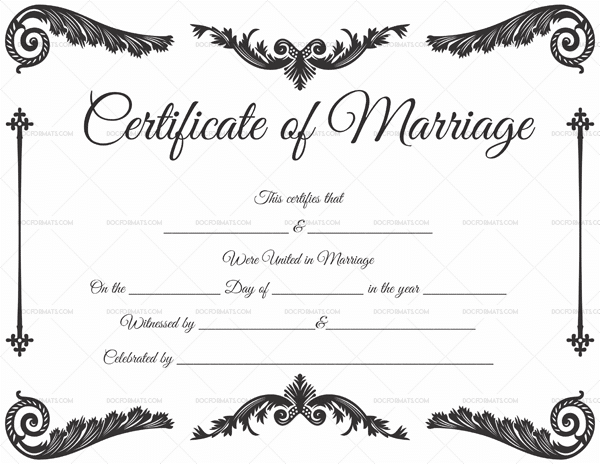 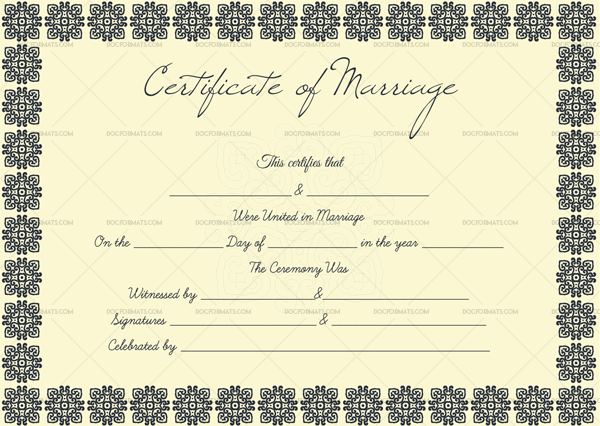 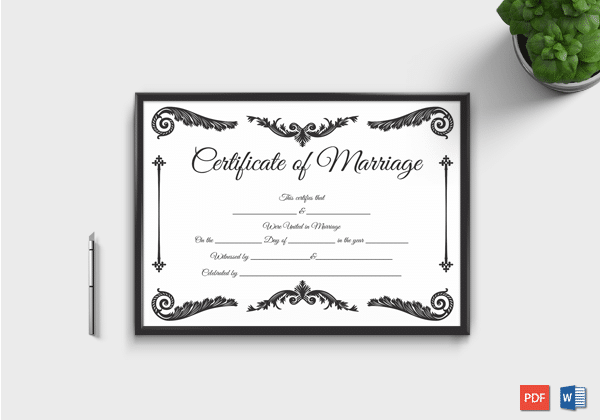 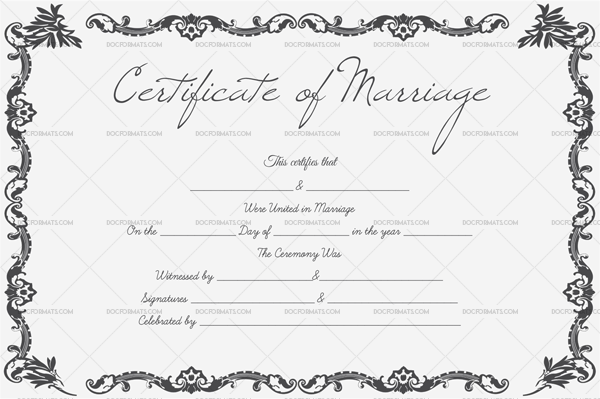 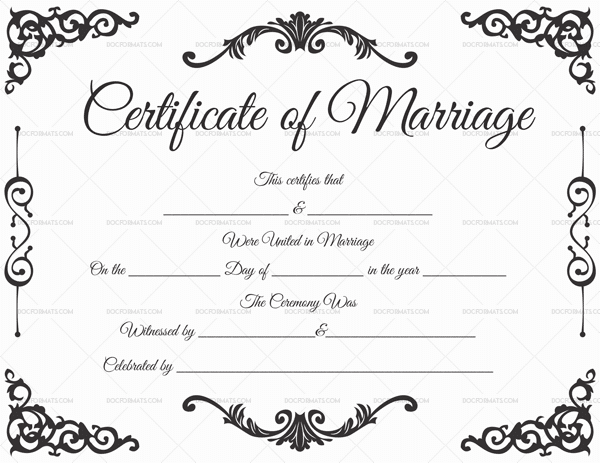 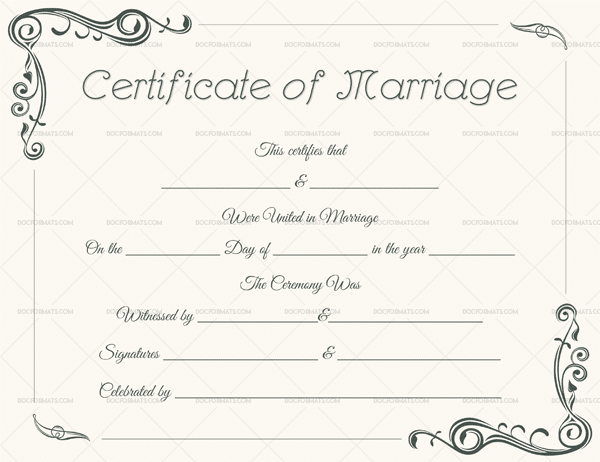 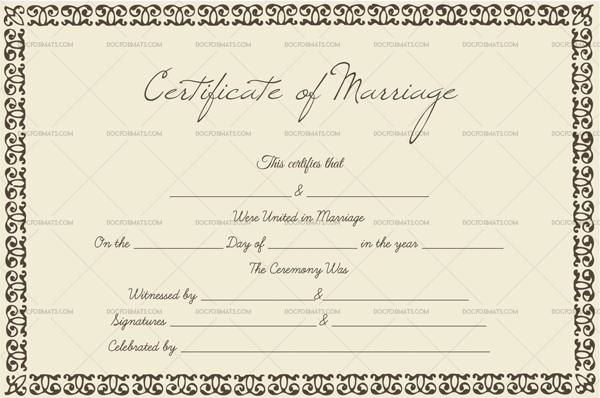 Couples can use a keepsake marriage certificate template. 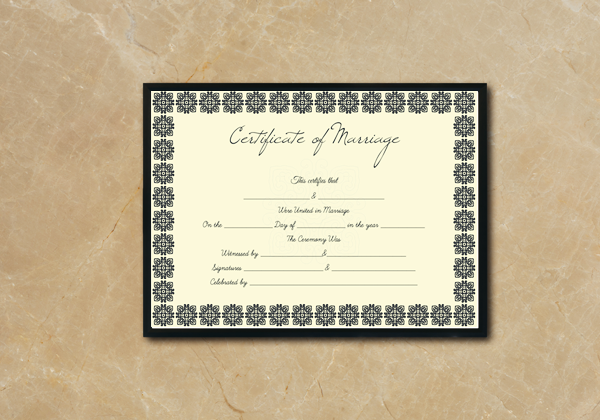 It combines the functionality of the blank but includes more designs on it, so it is more aesthetically pleasing. 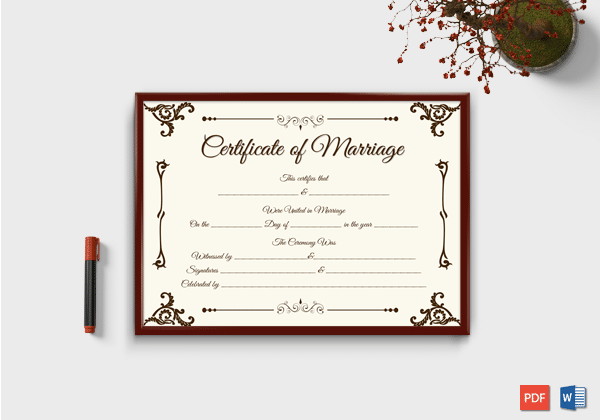 The boldness of the print will make it stand out more if you’re looking to make it a lasting momentum. 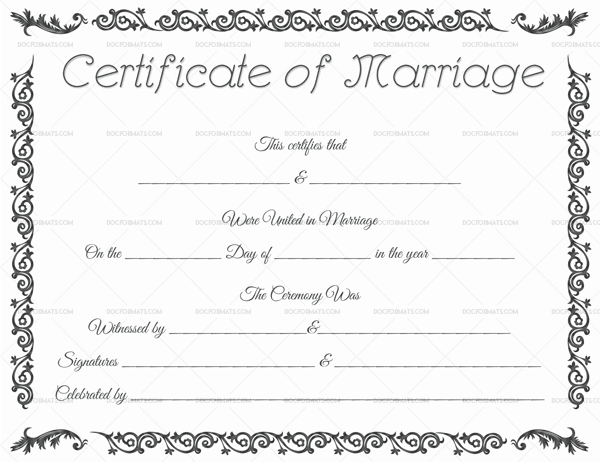 A marriage certificate format in English can be used by almost anyone. 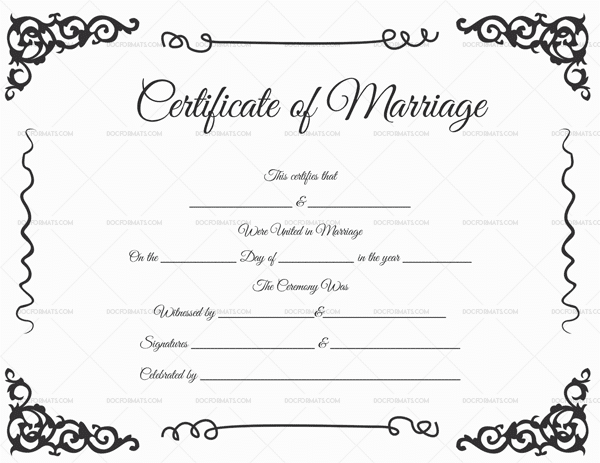 Either by nonnative English speakers, who need help when taking their vows, or native speakers that have no clue about how to create one. 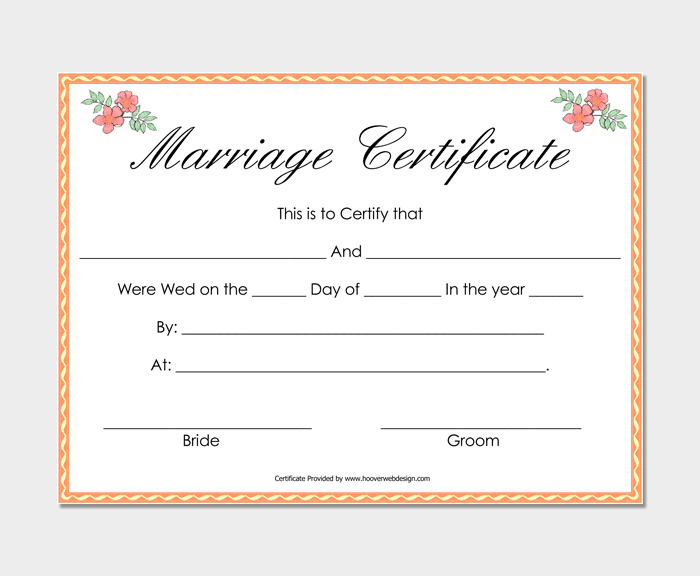 Either can use a template as a guide in ensuring they don’t make costly mistakes. 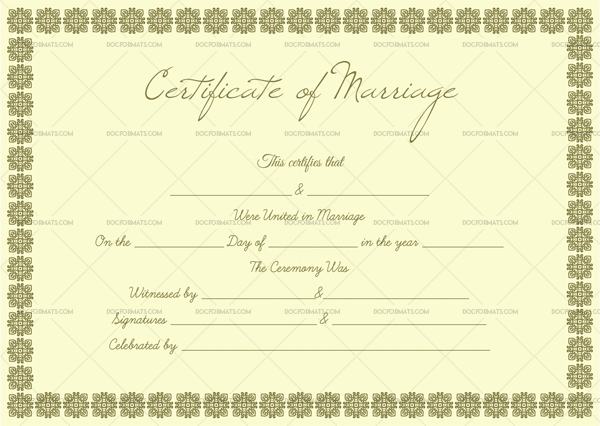 Think of it this way, if you do not speak a language accurately, it makes sense to get help. 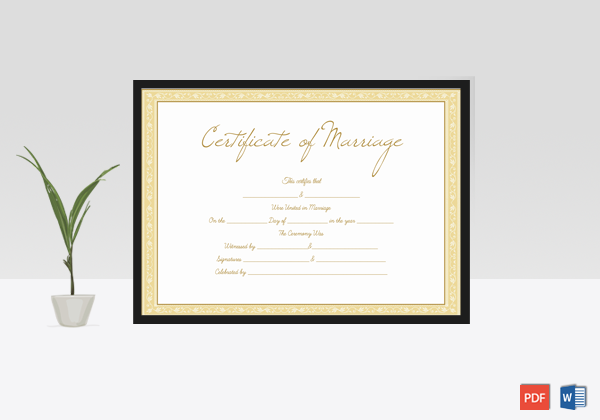 Help that costs nothing. 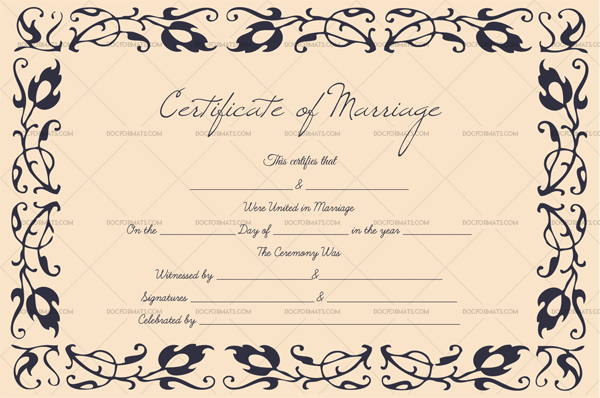 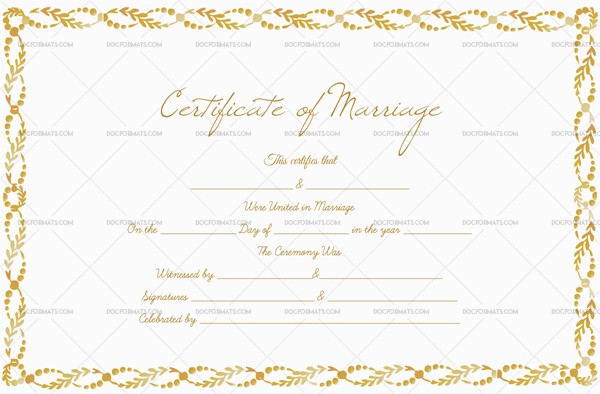 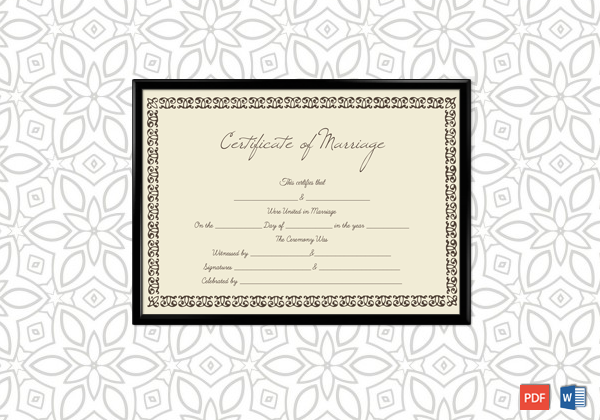 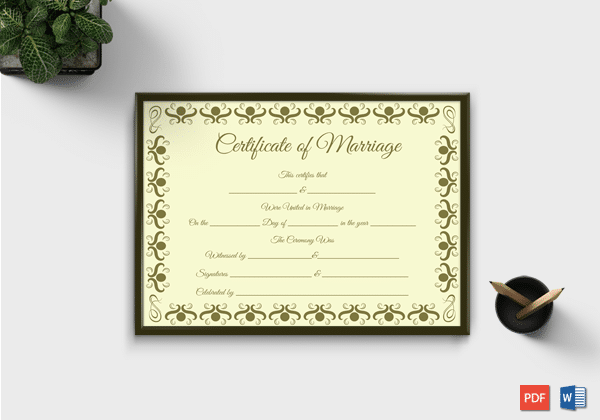 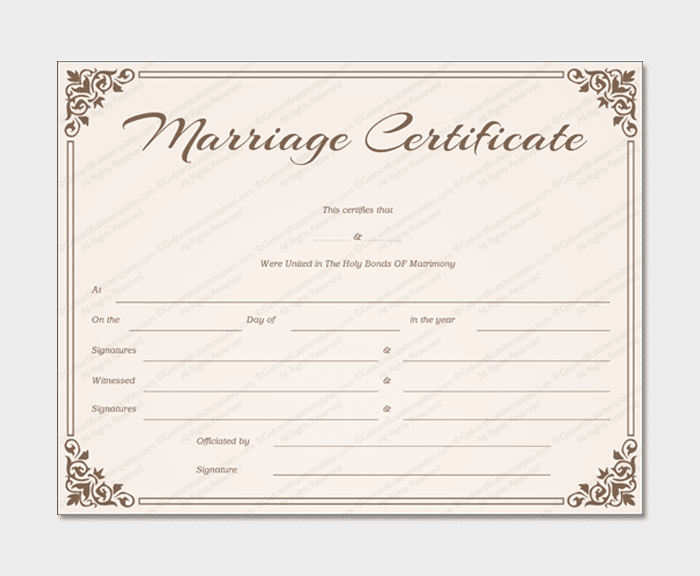 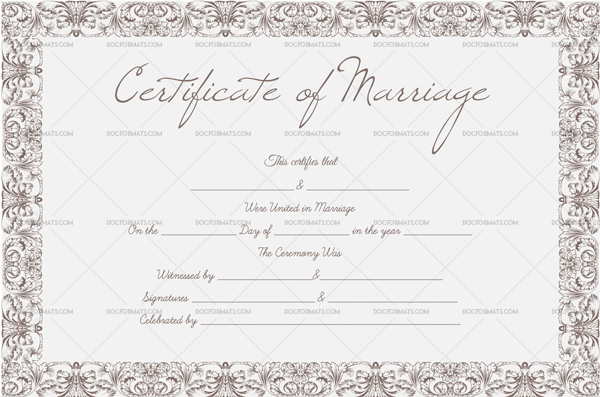 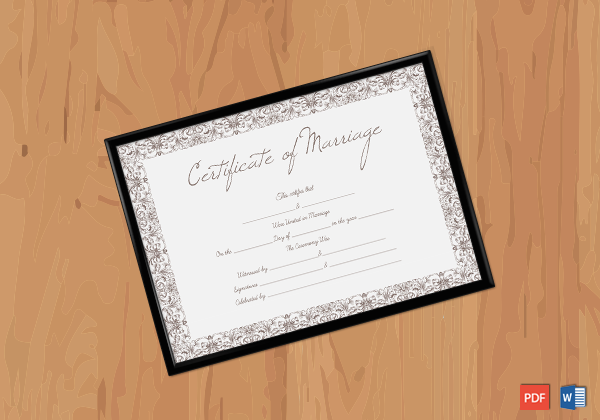 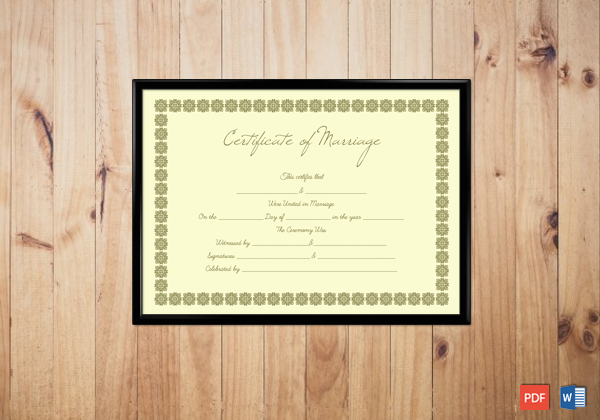 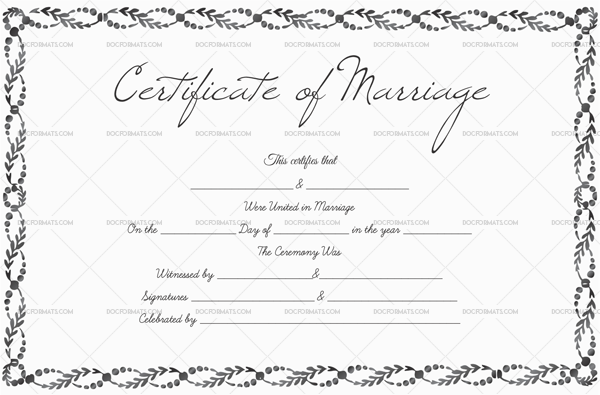 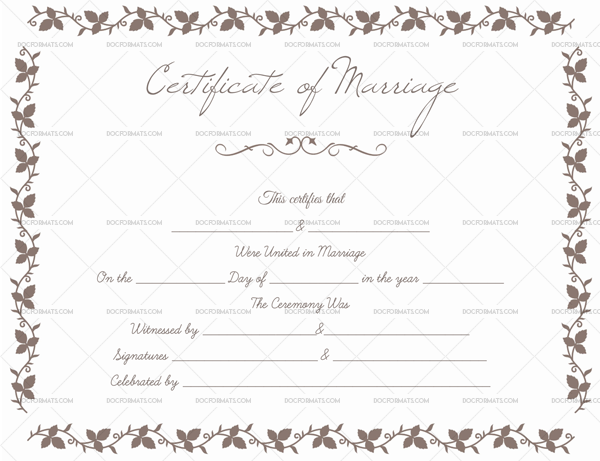 A blank marriage certificate template looks a little bit traditional. 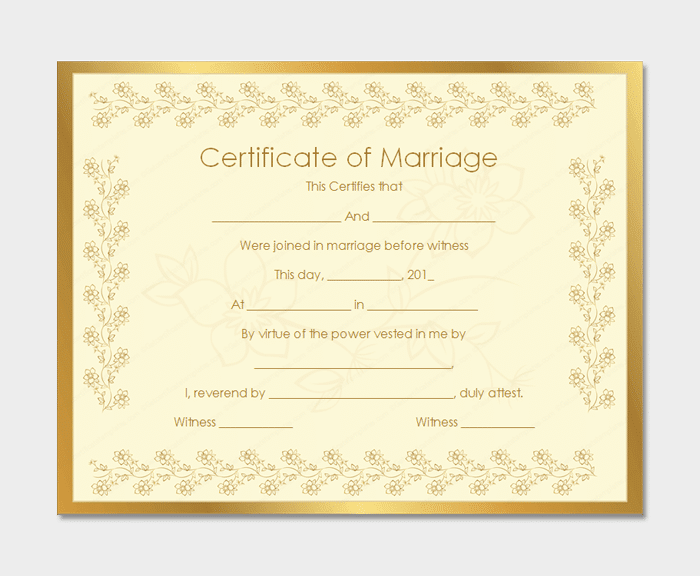 It tries to take note of the parties involved as well as the witnesses. 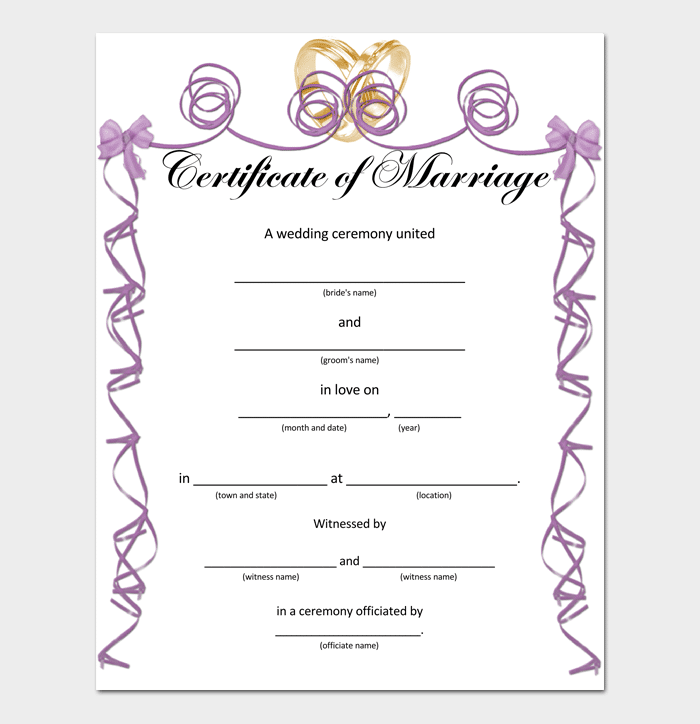 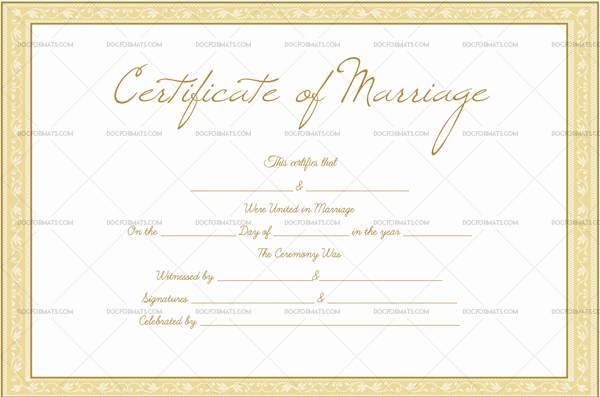 This type of certificate has minimal designs on it, so it will suit couples who are not big on excessive decors. 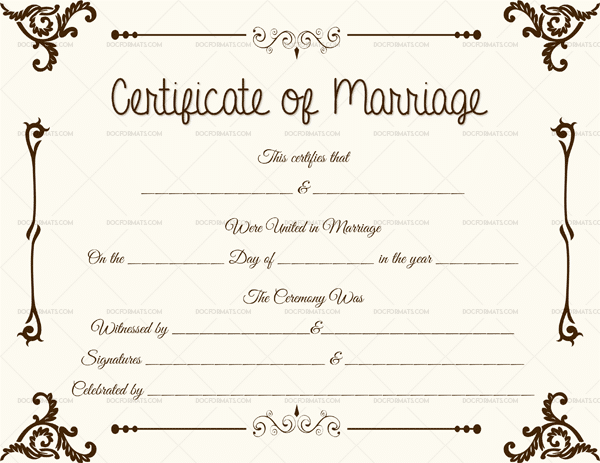 Generally applicable to weddings, a marriage certificate format contains the bare minimum. It has linear designs running parallel each other with bold twigs at each corner of the certificate. 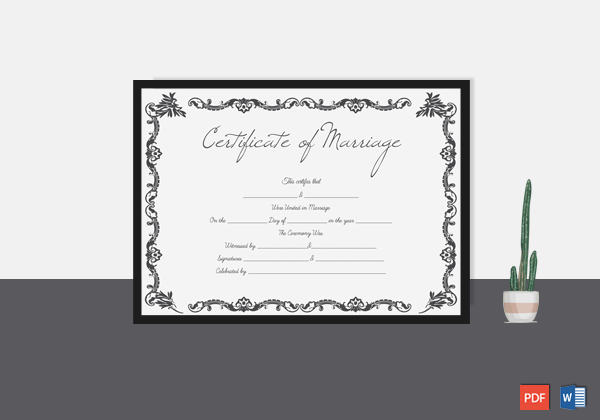 It dictates what you need. 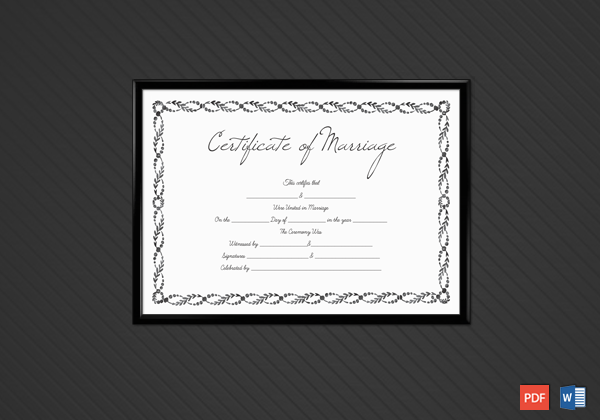 The write-ups on it are what other types of templates use to get a start. 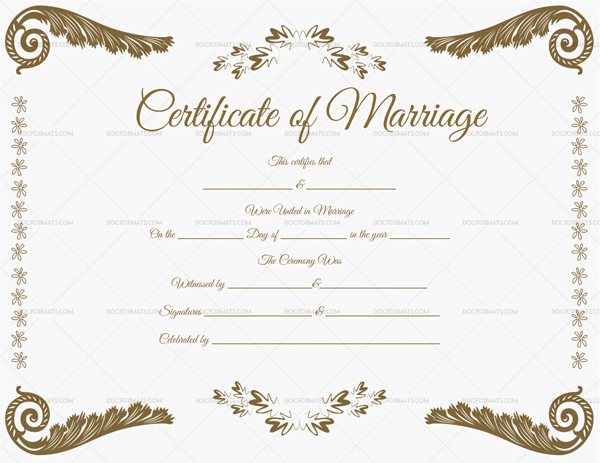 So even if you want to make one from scratch, you will still need to learn the basics somewhere, this is will give you a pretty good idea. 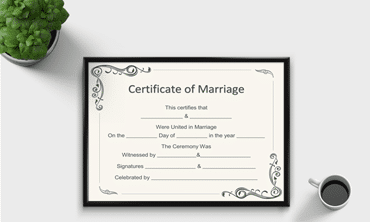 We have seen that using a template for your wedding certificate is important because it complies with the law. 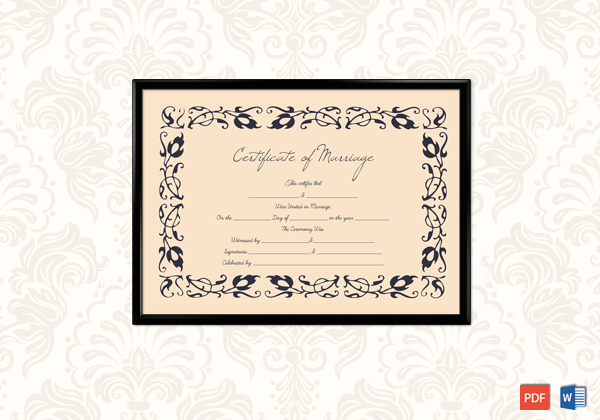 We have also seen that templates come in various patterns, each with unique designs to suit your frame style. 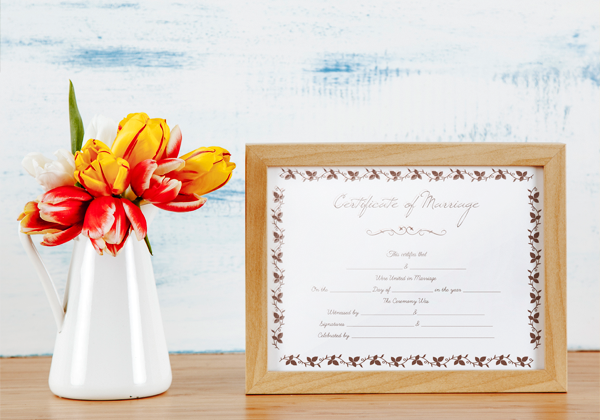 Regardless of the type available, there’s always the possibility that you may prefer one customized perhaps to coordinate with your wedding venue, don’t hesitate to download one and personalize it if it will fit in with your wedding theme. 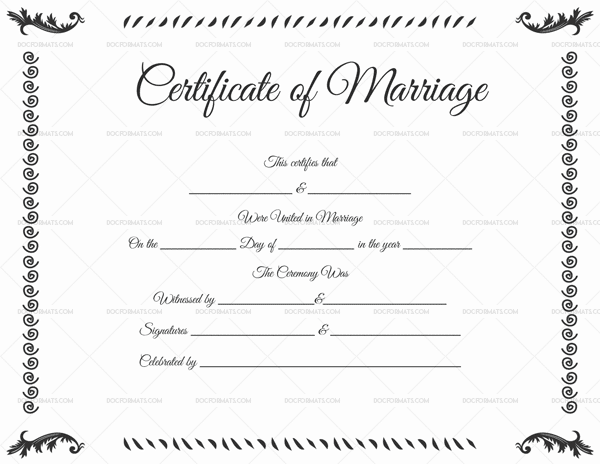 Best of all, marriage certificate designs are available in both word and PDF easy to use formats, so download and personalize away without worrying about installing a new software.